Disposable Film Cutter makes cutting shrink-wrap effortless. Start cut in middle, top or bottom of stretch-wrapped pallet. Design includes durable plastic construction and a long-lasting, super-sharp blade. 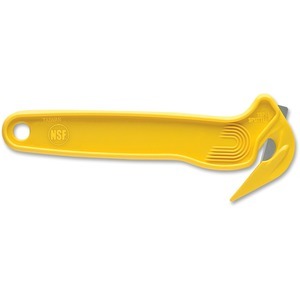 Highly visible yellow cutter also features a tape splitter to cut box tape safely.